Never get lost looking for a meeting room again. Navigate your floor plans with easy and find your way to all indoor point of interest at your office. Enabling easy Office Wayfinding, WayFinder is designed to guide people to meeting rooms or meeting points, and WayFinder’s directional information makes it easy to get from A to B. 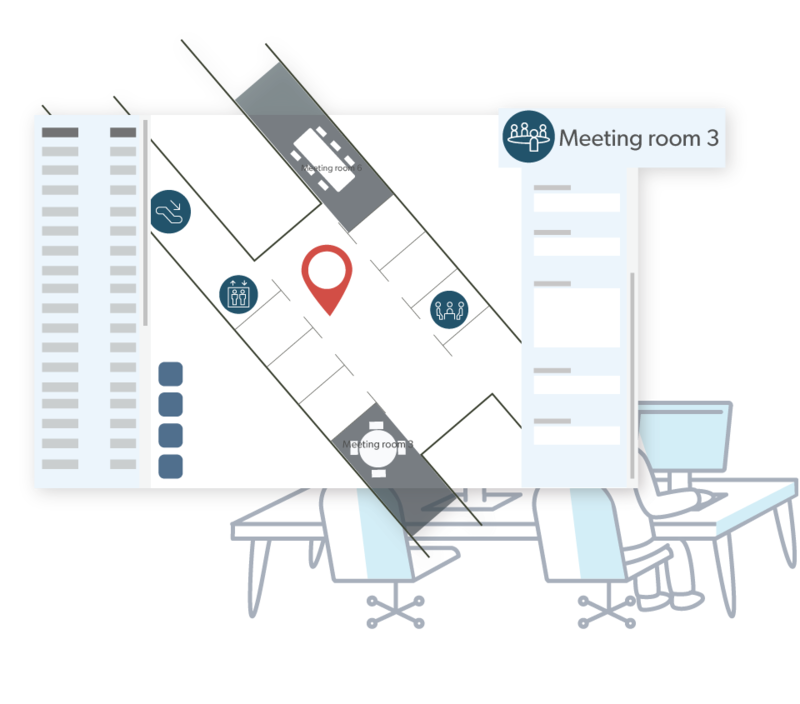 Instant know the availability of meeting rooms with the maps integration to Outlook and Office 365. Built into Outlook and Office 365. Attach directions to meeting invitations. Give people at your workplace a birds-eye overview of your office and meeting room status at a glance. You’ll increase operational efficiency, reduce office friction, enable people to meet more effortless, and let your employees spend time on what's important instead of helping others with directions. With WayFinder, you no longer have to worry about lost visitors or meeting room wanderers. Provide a fast and easy-to-use wayfinding experience for your people at your office. AskCody offers an easy office wayfinding experience for regular users and visitors. 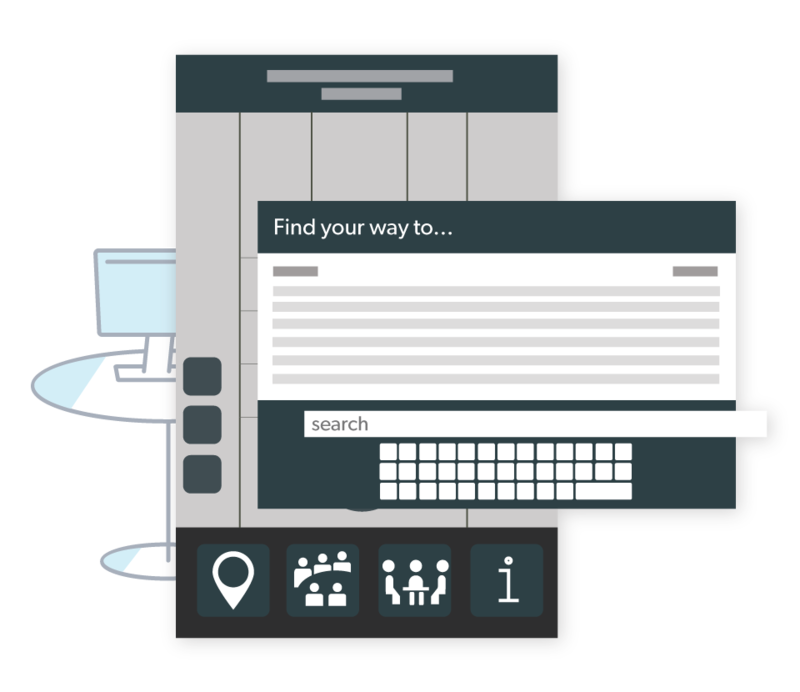 Search for meetings, appointments, or events all from the intuitive interface on smartphones, kiosks, and touch screens. By integrating the Office WayFinder with Outlook or Office 365, employees have instant access to all the necessary data to plan meetings on the fly or find their way around the workplace if they’re running late or in a rush. The powerful map editor and instant updates across all screens deliver full control of your Office Wayfinding platform and the power to create a premium Office Wayfinding experience. Use WayFinder to improve wayfinding at your Office or venue for both visitors and daily users. This creates a more pleasant and efficient atmosphere for everyone while freeing up your resources to focus on more important tasks rather than showing people the way. Therefore, the Office WayFinder integrates seamlessly with both Microsoft Exchange, Outlook, Office 365 and Google Calendar. Now staff and visitors can navigate to the specific meeting they are attending. If meetings are rescheduled or relocated, the map updates accordingly to the changes automatically. This also provides employees with a bird’s eye view to see the workplace in full context. With WayFinder you get workplace availability at a Glance with Free/Busy Status in an office map. 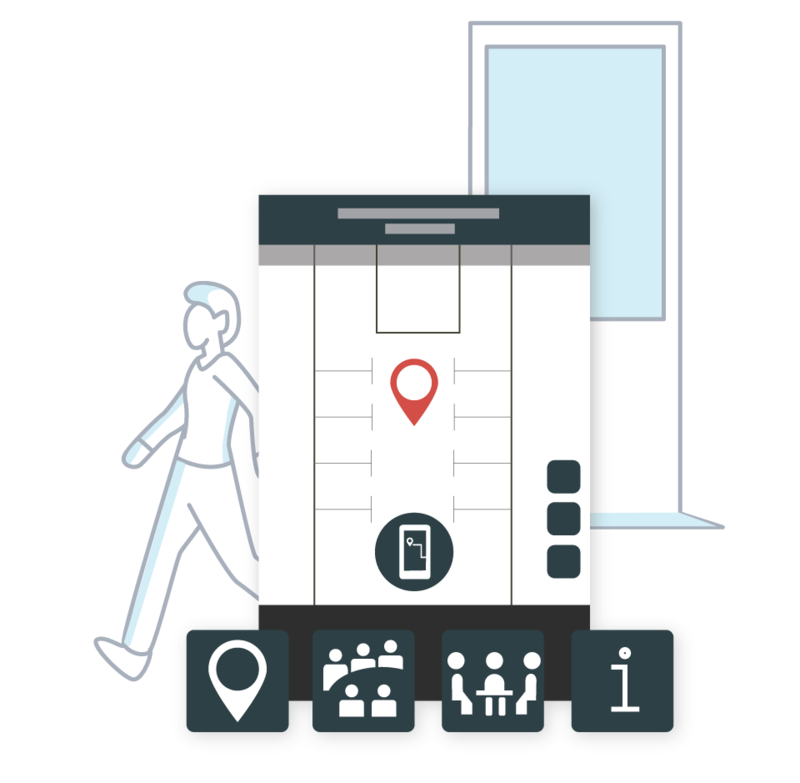 By integrating your wayfinding and scheduling systems, employees have instant access to all the necessary data to plan meetings on the fly or find their way around the workplace if they’re running late or in a rush. By doing that you will create an exceptional guest experience improving both visitor and employee satisfaction, as well as enhance productivity, employee happiness, and reducing your costs. You provide a fast and easy to use office wayfinding experience for your visitors and daily users. No more visitors who are lost and late for meetings. Let your employees spent time on what's essential for the business instead of helping other people with directions. …whether it's a specific room, an event (like an appointment or seminar), or even a person. WayFinder is the perfect solution for today’s modern workplace allowing everyone to stay in control and keep constant and complete visibility. You get a modern look and feel of your workplace, providing an instant birds-eye overview for staff and visitors, while simultaneously freeing your staff from the task of giving directions, instead of allowing them to focus on their job. Appropriate routes for visitors with disabilities are available instantly in accessibility mode. Just touch the yellow accessibility button and the route changes to fit the needs of each user. Web-based, instantly updated, and hardware independent, WayFinder is available for all platforms. Use it for smartphones or embed it into your signage CMS like Signagelive. You can even integrate AskCody WayFinder on your website, Facebook page, or in your native app. Learn more how a very large Investment Management Provider upgraded their HQ using AskCody solutions. 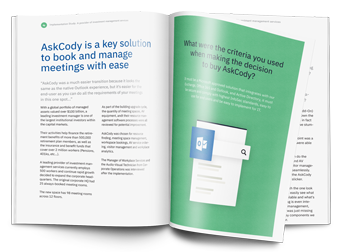 "Without AskCody, the search for meeting rooms would be difficult and a lot of resources would have been wasted. The municipality of Skanderborg is, therefore, more than happy for our AskCody installation and 100% satisfied."